In the steadily diversifying 21st century, ‘Homeland’ has become a murky concept. For Jews in particular, what was once a painful, seemingly impossible longing to return to one’s origins has been rendered a tangible, if troubled, stretch of land with a thriving civic society. But what are the implications of returning to one’s origins for historically stateless or uprooted people in the long run? How does a Diaspora reconcile its identity—if it’s even possible to do so? These questions floated through my mind as I read Emily Raboteau’s luminous memoir Searching for Zion: The Quest for Home in the African Diaspora. 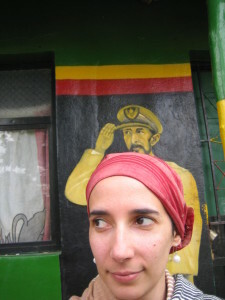 An investigative odyssey disguised as a youthful expat’s travelogue, the book follows Raboteau around the globe as she seeks the place sung about by Bob Marley: Soul train is coming our way, Zion train is coming our way. Two thousand years of history, Could not be wiped away so easily. 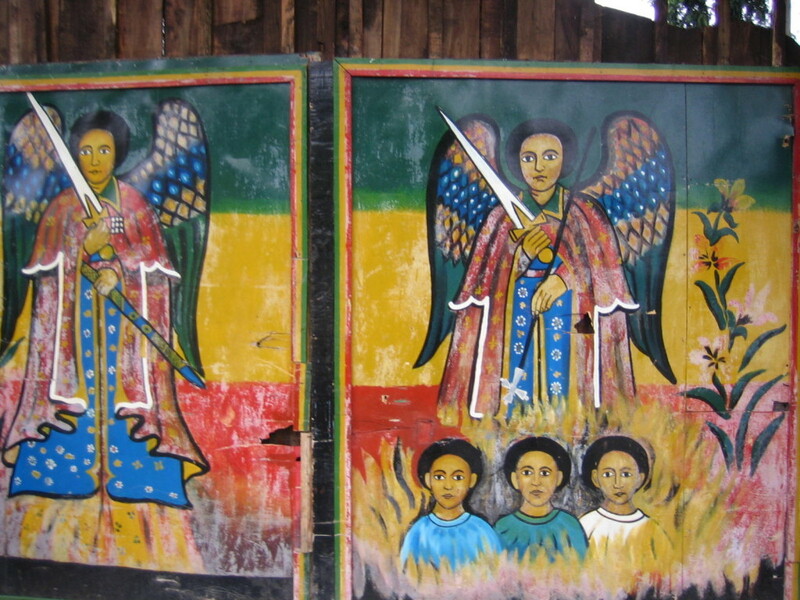 The Rastafaris Marley crooned for believe they are wandering children of Israel whose lost Zion is Ethiopia. With masterful prose and insights bursting from every page, Searching for Zion explores the history of this black yearning as well as the nature of its relationship to Jews. The narrative begins with the author’s Jewish childhood friend, Tamar. Raboteau, who has an African-American father and a white Irish mother, bonded with Tamar over their mutual outsider status. Following university, Tamar makes Aliyah and moves to Jerusalem, leaving Raboteau not just jealous of Israel for stealing her friend but also resentful that Tamar has a place where she feels she belongs—the author, having grown up half-black in white Princeton, New Jersey, does not. Thus she takes to jet-setting, in pursuit of a black homeland and her own sense of belonging. She isn’t focused on finding a suitable mate, refreshingly, and she demonstrates that Zion is much more elusive than love. 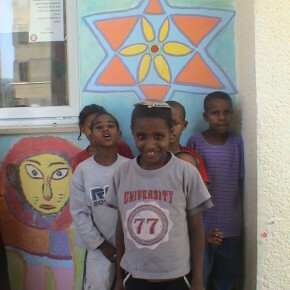 In Israel she discovers the Beta Israel (Ethiopian Jews) and Black Hebrews–some of whom, though more content with their current home than their past one, also turn to Rastafarianism and American black liberation movements for kinship. This impels Raboteau to visit Jamaica, where she discovers, alongside religious passion, virulent homophobia among the reggae master’s pot-smoking accolades. I won’t share what she finds in Ethiopia in search of the Sellasie, the Zion envisaged by the Rastafaris and their revered dictator messiah. Raboteau is unassuming and unwilling to condemn. Can we every truly belong? Is it possible to fashion a utopia for people who’ve been wronged? This incredible work of non-fiction may seem to suggest the answers, but ultimately Raboteau prods us to evolve–as she does. I whole-heartedly recommend to every Jew (and to every non-Jew who is dating or married to a Jew) to read all of the works of fiction authored by Rebecca Goldstein. Her personal biography (which is not fully explored in her writings) it that of a young, inquisitive girl brought up in a Modern Orthodox Jewish household who was well taught by her teachers (notwithstanding that the teachers and the students were wholly immersed in the believe system of “Modern” Jewish Orthodoxy,” but Rebecca remained skeptical that what she was being indoctrinated into left he with doubts, missing pieces and flaws in logic that she could never rationalize to buy into the big picture being taught to her. She then got her B.A. and Ph.D. from Princeton, and accepted a professor track at Barnard College that would supposedly lead to a full professorship in the Department of Philosophy, with tenure, sabbaticals and all the other perks what go with the appointment. She eventually married Shelly Goldstein, a mathematician ion of the highest order and raise two girls in the same modern orthodox manner that Ms. Goldsmith was raised .But, whenever one of her daughters asked Rebecca about some miracle or law recited in the Torah or other scriptures, she would answer, “You don’t want to know my opinion, ask me again when you’re older.” Meanwhile she started writing books of modern fiction, always tinged with the dilemmas and doubts that modern Jews have (the writing of which books, Ms. Goldstein concedes, way well have resulted to her not getting at Barnard/Columbia), as well as “biographies” based on such historical Jewish thinkers as Spinoza, where Ms. Goldstein speculated on Spinoza’s belief system after he was excommunicated from the Dutch/Jewish culture (i.e., the post-Sephardic reincarnation of the Jews expelled from Spain in 1492). Rebecca Goldstein then went on to marry Steven Pinker (the psychologist whose is the author of the recent best-seller, “The Better Angels of Our Nature.” In addition, one of Ms. Goldstein’s daughters, Yael Goldstein Love, published her first novel, “the Passion of Tasha Darsky,” which is arguably the best “first novel” written by any member of Ms. Love’s generation, and I strongly urge both Jews (and non-Jews) to read all of Rebecca Goldstein’s collection of fiction and to read the masterful first novel by Yael Goldstein Love.